Last Tuesday I spent the day at The Property Care Association’s HQ in Huntingdon. The subject was damp and condensation. Bryan Hindle is behind the camera as Graham Coleman, Steve Hodgson and crew look on. Graham Coleman spent the morning presenting a detailed class on sources of damp, salts and general basic science related to rising damp. In the afternoon we concentrated on condensation; diagnosis and effects. As usual the delegates were provided with a selection of hygrometers and infra-red thermometers. 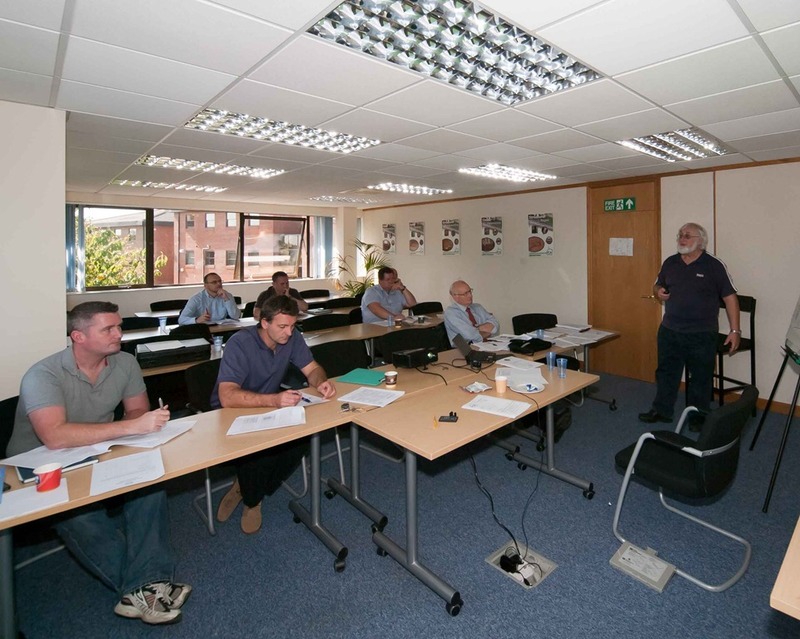 Graham used the psychrometric chart from BS5250 to help the guys get a good understanding of the relationship between temperature and humidity and the underlying specific humidity. Later, we went into a little more depth, looking at refining the analysis by applying air temperature assumptions to the data using a spreadsheet. Some damp diagnosis group members have been collecting data for this exercise, which may improve treatment in the future. I’d recommend this course to anyone who needs to understand these issues and I know it has certainly helped me get these complex relationships in context on my daily surveys. The guys in the photograph I took include damp specialists, home inspectors,local authority officers and Chartered surveyors; a nice mixed bag as usual. The feedback was good and the course is being constantly fine tuned to make it more relevant for the guys on site; at the sharp end. As a surveyor I see it as my job to try to reflect this and I hope that together with the PCA, Graham and others, we’ll improve diagnosis to even better levels. 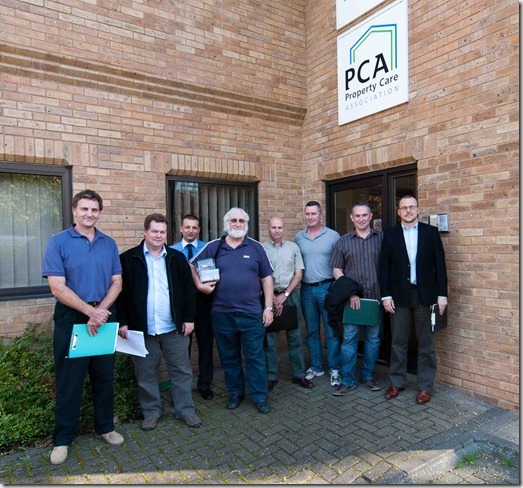 Course details are available on the PCA web site and if anyone would like to speak to me about it, to get a surveyors view, just call me at Brick-Tie Preservation. My thanks go to Steve Hodgson and Graham Coleman for an enjoyable and worthwhile day.